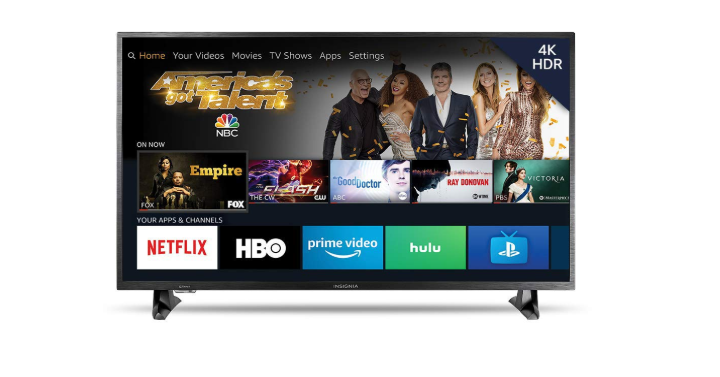 Insignia 43-inch 4K Ultra HD Smart LED TV HDR – Fire TV Edition Only $179.99 Shipped! Great Reviews! Dimensions (W x H x D): TV without stand: 38.2” x 22.5” x 3.2”, TV with stand: 38.2” x 24.3” x 8.9”. Multiple device input/output options: 3 HDMI including 1 with ARC, USB, composite input, antenna/cable input, digital output (optical), audio output, Ethernet.